Twisted Pixel Games' The Maw is a 3D puzzle-platformer, starring the titular Maw and his newly befriended alien pal Frank. The two escape their evil captors, only to go on a gameplay binge. The Maw's gimmick, as it were, is the title character's ability to eat, expand and absorb the abilities of the lifeforms it ingests. Swallow a flaming Gastro and the Maw will be able to breathe fire. Eat a floating Puff-tor and the Maw can inflate itself to make massive, coasting jumps. Using these abilities, Frank and the Maw must make their way through eight levels, with Frank guiding his rotund cohort via a remote control collar, overcoming obstacles with unique abilities and an ever-fattening Maw. How'd we feel about the game, now that we've stuffed ourselves on The Maw? Personality: The Maw is oozing with charm, thanks to its beautifully animated, expressive star, the Maw itself. The game is packed with delightful moments, a brightly colored world and refreshing gameplay that's hard to find amongst the Xbox Live Arcade competition. Frank and Maw's moments interaction are disarming, with substantial doses of humor spread throughout the game, from its quirky alien inhabitants to pop culture jabs. Classic Appeal: The Maw has somewhat of a throwback feel to it, with nods to classic platformers like the Kirby series and A Boy And His Blob as well as more recent entries like Crash Bandicoot and Ratchet & Clank — and that's a good thing. The Maw feels akin to a slice of a much larger game, just one world in a hub of many, but Twisted Pixel mixes up the action with enough variety to make the short stint in the world feel fresh. All The Small Things: There are a handful of tiny, bothersome quirks present in The Maw, from its occasionally slow pace, to a camera that won't pan skyward, to its extremely short play time — more disappointing because of some repetitive, busy work-like tasks. These are minor complaints, but compound to keep The Maw from achieving a level of greatness that it seems more capable of. The Maw is a great game, one of the best Xbox Live Arcade has to offer. It's quirky, funny and clearly the effort of a developer who loves making video games. The game also shows so much promise that we look forward to Twisted Pixel's next effort as much as any potential sequels to The Maw. It may feel a little pricier than it should, given its limited scope and relatively short length, but it's still a fun ride. 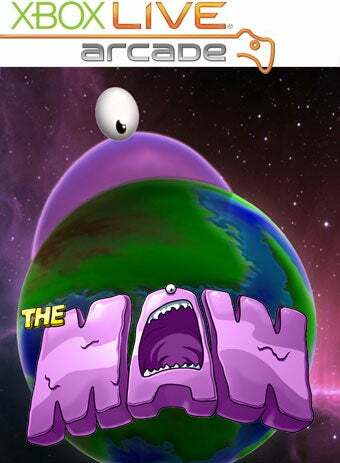 The Maw was developed by Twisted Pixel Games, released on January 21 for Xbox Live Arcade. Retails for 800 Microsoft Points ($10 USD). Played game to completion.